As one of Chicagoland’s leading Marvin window dealers, if you’re looking for Marvin windows to complete your home or business, Midwest Window and Door is your one-stop local resource for all kinds of new and replacement Marvin windows. Whether you’re interested in getting vinyl replacement windows in Chicago or new wood windows in the suburbs, we’re here to help. Midwest Window and Door is a top dealer of Marvin products, able to provide inspiration, answers to problems and in-depth information about the value of the brand. For decades, we’ve been supplying and installing these windows for customers throughout Chicagoland, and we use that experience to make your installation or replacement a smooth and successful experience. (630) 966-1071 – Montgomery or (847) 979-8230 – Elk Grove Village. While it’s true that every Marvin window showcases energy-efficient technology, it’s also true that every window is beautiful. Thanks to the efficient design, these windows can reduce utility bills, enhance interior comfort and reduce your impact on the environment. On top of that, however, they add value to your home’s aesthetics, boost curb appeal, complement your style and more. If you’re already convinced you want Marvin, get in touch with us — and if you have questions about how these products would work in your location, we’ll be happy to help! 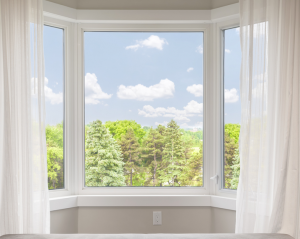 When it comes to the Marvin brand, whether you need Elk Grove replacement windows or new windows near Montgomery, come to Midwest Window and Door. Visit our showroom in either of our two locations.